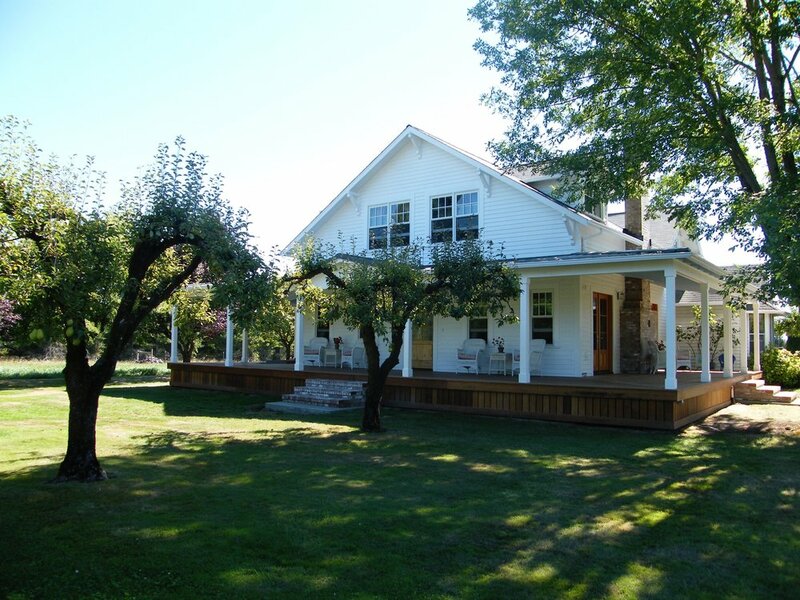 A country farmhouse was expanded with a second story, adding bedrooms and a bathroom. Hickory flooring on the interior evokes a rustic vibe. 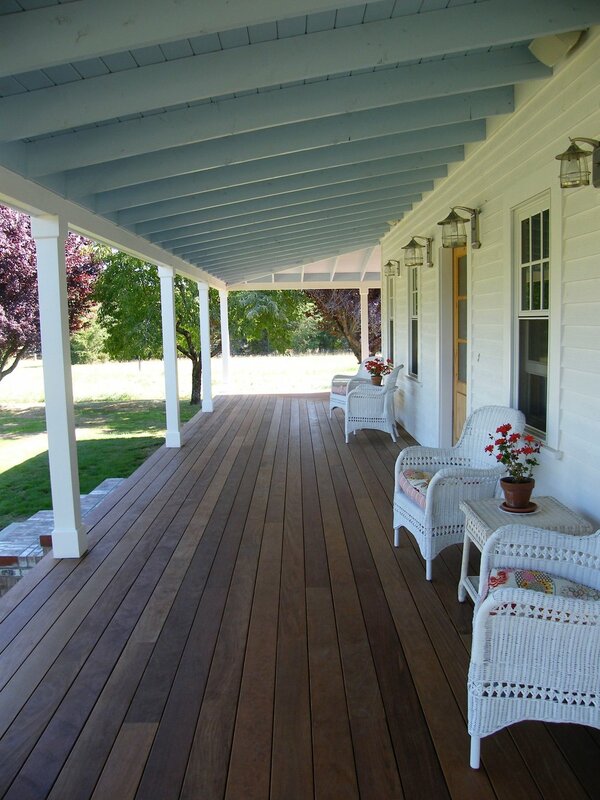 The wrap around porch provides ample covered space for outdoor living.